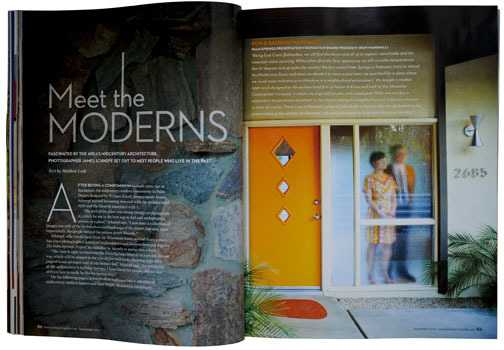 An eight page feature story on my project appeared in Palm Springs Life – September of 2012. 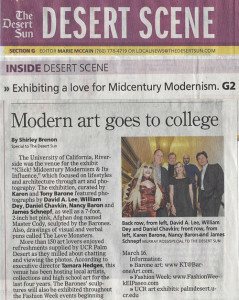 I’ll be looking for more press such as this as the book production phase kicks in. 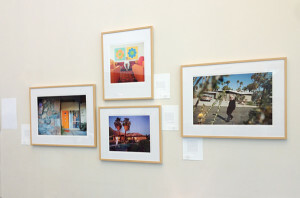 The Palm Desert campus of UC Riverside recently exhibited a group show of modernism themed photographs entitled CLICK!, curated by Karen Barone. I used the opportunity to show four images in a large format gallery presentation with accompanying subject statements. The five photographers presented varying visions of Midcentury Modern imagery. A wonderful evening with a great turnout. This view is what started the entire project, actually started the entire desert experience in 2010. The 1959 William Krisel getaway home at Sandpiper in Palm Desert that my wife and I purchased. Not really sure how it happened but looking back it seems that often times the better things in life have a way of finding you. Turns out that Mr. Krisel was my first architect portrait session along with his charming wife Corinne. 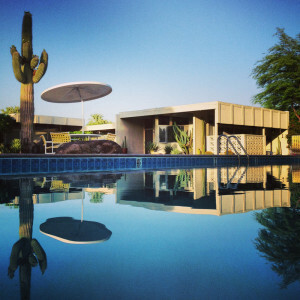 Welcome to a new website directly related to my ongoing Palm Springs Project. I have been photographing the project for about three years to date. 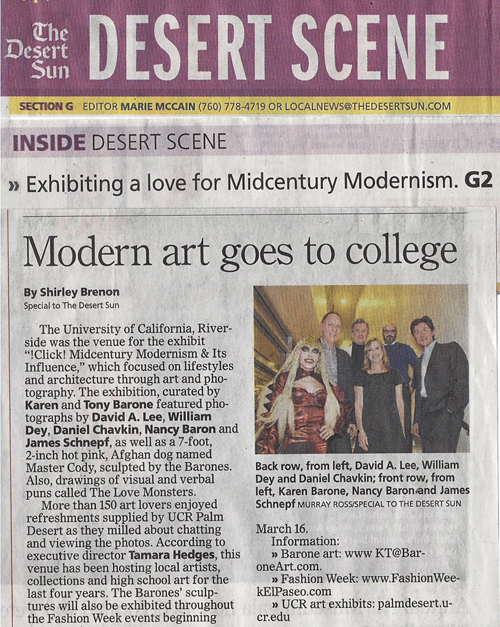 I’ve had the pleasure of meeting dozens and dozens of the most interesting and passionate people devoted to some degree or another to the modernist lifestyle. Stay tuned and I will be recounting past project experiences and future happenings.